Here is the source code to encrypt and decrypt <connectionString> section in Web.config using RSA Protected Configuration provider model. Note that below source code is from class library file. It is quite feasible to edit the code and use within a button click event as you wish. public static string path = HttpContext.Current. Developing database-driven websites using the ASP.NET Web Pages Framework, WebMatrix and Razor is not evil as most professional ASP.NET Web Developers might think. It is hard to look back on the 90's and Classic ASP websites with much optimism as ADO, millions of include files, and spaghetti code literally became the norm. Maintaining them was an utter nightmare in most cases. This is a different time, however, and Microsoft.Data.dll is much better than ADO, the Razor Syntax is much better than VBScript, and a lot of the security concerns around Encoding, SQL Injection, proper validation, etc. are much more well-known and publicized than it was when Classic ASP first came on the scene. At the time, we also didn't have other frameworks, like WebForms and ASP.NET MVC, and other options for data access, like LINQ To SQL and Entity Framework, so we were pretty stuck making all kinds of crazy mistakes given there wasn't another avenue for more complicated websites. 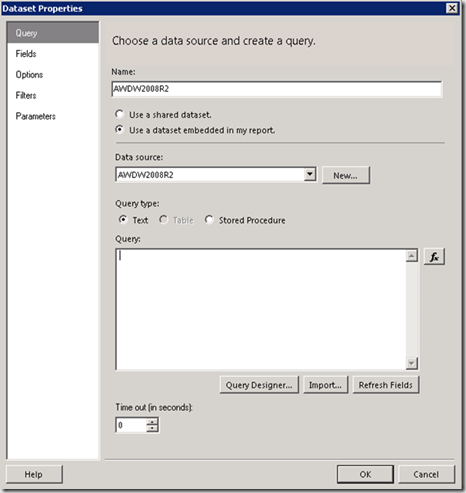 WebMatrix, the ASP.NET Web Pages Framework with Razor, and Microsoft.Data.dll fit a particular need and development environment around simple, forms-over-data websites that are nothing more than a thin layer on top of a database. Personally, at this level, anything that attempts to abstract the fact that we are just pumping data from the database onto a web page is overcomplicating the issue and making the application more difficult to maintain. As an example, take your typical Recent News or Recent Posts page on a personal website that literally pulls data from a single table based on either a publication date or id. I see no reason to create an ASP.NET MVC or WebForms website in Visual Studio with an O/R Mapper, Visual Designer, codebehind files, view model, a bloated web.config, and other nonsense when you can just take your favorite text editor and add a few lines of Razor syntax into a page in a few minutes with a much simpler deployment model. 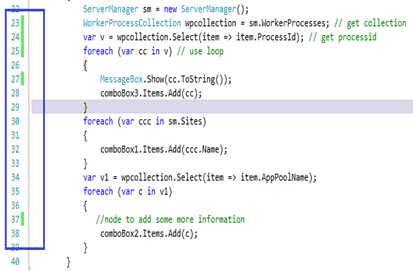 This is far more easier to maintain than a similar application written with ASP.NET WebForms or ASP.NET MVC. 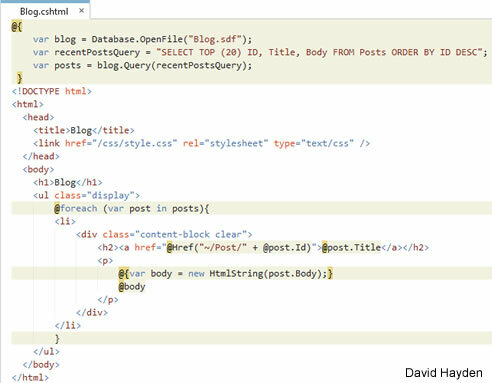 Here we have 1 file that can easily be understood in any text editor with a clear understanding that this data is coming from a database using a particular query and dumped onto a web page. Want to sort it differently? Want to display more than 20 stories? It is pretty darn clear and pretty darn easy to make those changes and any changes that fit this simple, database-driven niche. 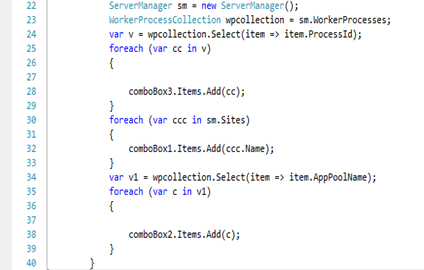 Other than those 3 lines at the top this looks pretty close to a view in the ASP.NET MVC Framework. 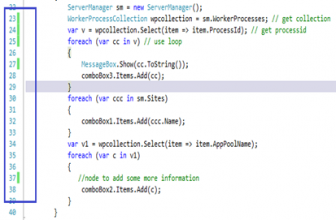 If things get much more complicated and you need to offer a layer of abstraction and separate out concerns, you could move those 3 lines out of the view and migrate to MVC. I suspect such an application wouldn't grow to such a need, but if it does, there is a path to a more appropriate framework. Although nothing is perfect and mistakes will be made by new developers, it won't be anything like the 90's and Classic ASP. This is good stuff for simple forms-over-data websites. As professional web developers I realize we worked long and hard to learn how to properly architect complex web applications, but I think the pendulum may have swung a bit too far and we forget the joy, ease, and beauty of developing simple websites using simple techniques and simple tools. 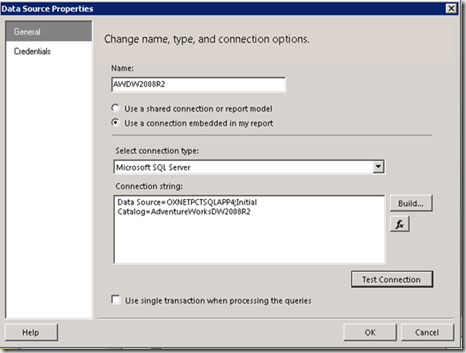 It is important to understand the reporting options available in SQL Server 2008 R2 to provide an appropriate report layout to meet the business requirements and needs of our end users. This post briefly discusses about different report layout types available and explains in detail the steps to create a Tabular Report. It also explains how to sorting and drilldown features to your report. - Tabular Reports – these reports are defined using table data and organized in to rows and columns. 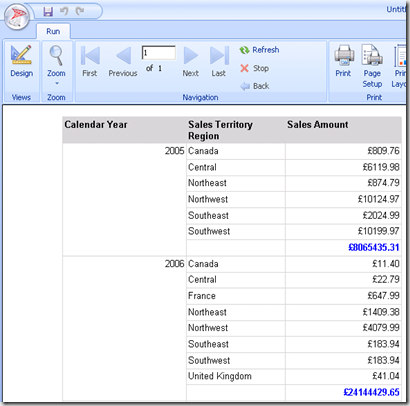 The columns are typically fields in the table. 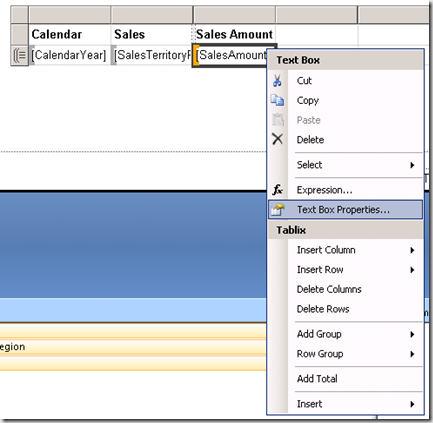 Reporting detail rows can be grouped on various fields, each group can have header, footer , breaks and subtotals. - Matrix Reports – To summarize the date for analysis we can use the Matrix Reports. It is useful for viewing the aggregated values with two different hierarchies(example time and geography). - List Reports – List report consist of single rectangular area that repeats for every record or group value in the dataset. - Chart Reports – these reports provide a visual context for different kinds of data. Some times complex information can be analyzed with very little explanation. - Composite Reports – You can combine the reports that we discussed above for compelling the advanced reports. 1. 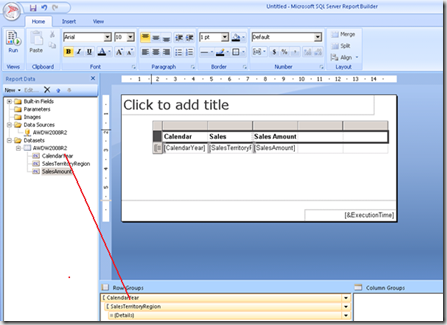 Open the Report Builder 3.0 , select the Insert Tab and click Table on the ribbon. 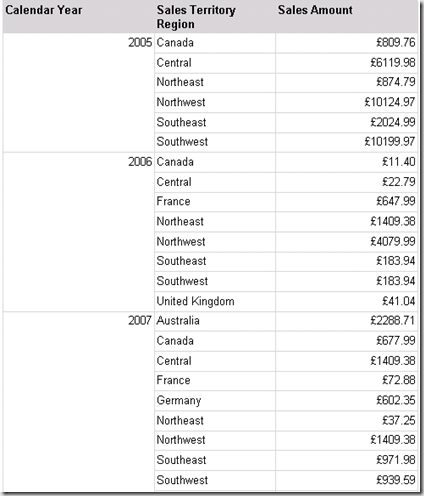 I am using the AdventureWorksR2 database to create this report. 3. 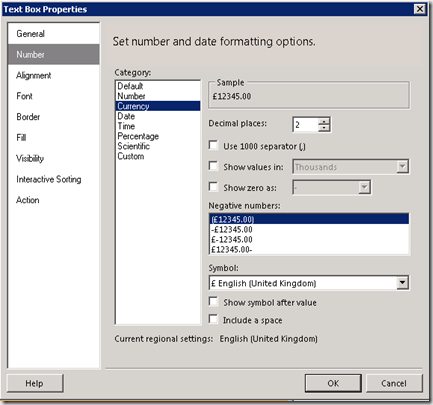 Defining Table Groups – You can drop the database fields to zones to define groups located at the bottom of the designer pane. 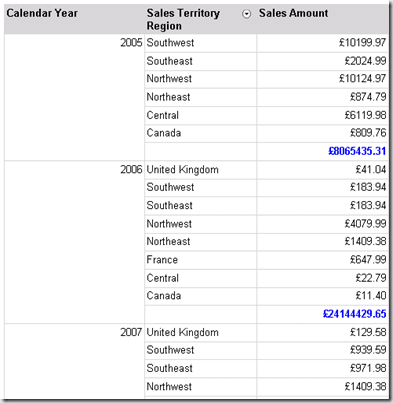 In this example we are grouping the rows of this table based on CalendarYear and SalesTerritoryRegion Fileds. To add the CalendarYear field as a group above the detail row, drag and drop this field from the Data Window. Creating Drill Down Reports – All report items and groups have a visibility property that can be set either permanently or conditionally. 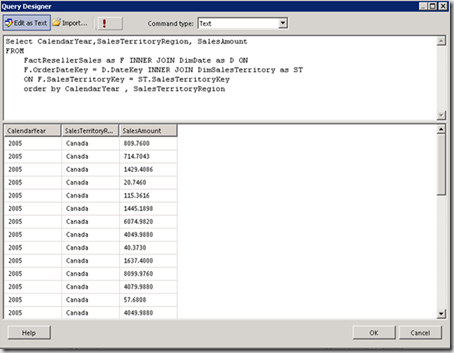 Common use is to create drill-down reports , where headers are used expand and collapse. 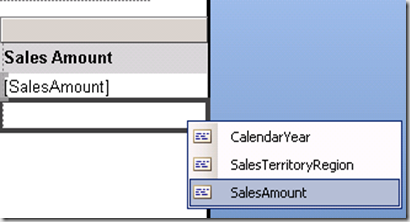 Typically (+) or (-) sign will be displayed next to the column header. 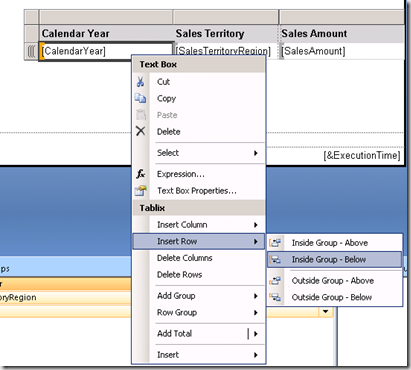 Set the display option to hide and select relevant textbox for the CalendarYear group by checking the Display toggle option. Click Ok to save these property changes. Windows 2008 R2 has introduced a number of compelling features that would entice any Windows administrator to upgrade to, and the most welcomed feature in my own opinion would have to be the Active Directory Recycle Bin. Previous to the R2 upgrade, system admins and the like would have had to rely on paid 3rd party software that would take care of accidental deletions of users or even worst organizational units. Those who did not make the investment in 3rd party software would have had to rely on system state backups which is always a disruptive process in the event that you needed to perform an authoritative Active Directory restore. Now that we have met those requirements, we need to run the following command on the AD Domain controller where the Schema Master Resides. 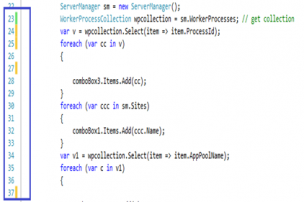 If you are not sure where the Schema Master role resides, follow the below TechNet article on How to view and transfer FSMO roles in Windows Server 2003. 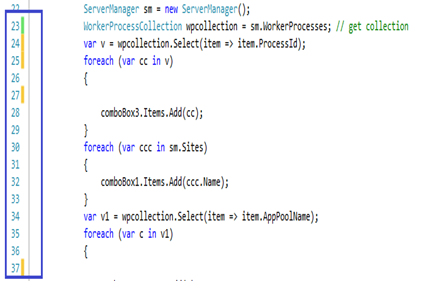 On the Schema Master Domain Controller, run Start / Administrative Tools / Active Directory Module for Windows PowerShell. 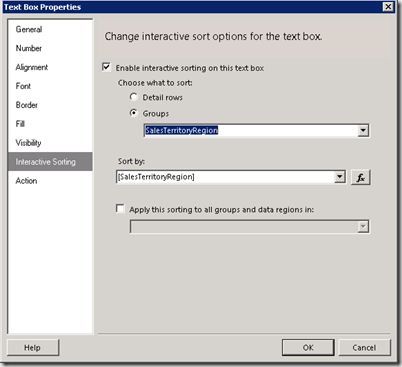 You will get a warning which you will need to confirm stating that enabling the Recycle Bin Feature is irreversible. That’s it! The recycle bin will now begin capturing deletions of objects which will allow you to later restore them to their original or alternate location. Now you might be asking, how do we actually perform a restore? Well, I’m glad you asked, that’s the 2nd reason why you are reading this article right?! Now as a test I have created a Test User account in Active Directory and then deleted the account a few minutes later. Lo and behold when I refreshed the Active Directory Recycle Bin node within the PowerGUI Navigation tree, my Test User was listed in the results pane. From the Actions menu, you can easily restore the user to either its original location or alternate location. From the Actions menu you can also configure the recycle bin further via a GUI, and empty the recycle bin completely. As you can see from the above, the Active Recycle Bin is a long awaited feature introduced with Windows 2008 R2 and with a front end like PowerGUI you can now easily and very quickly restore accidentally deleted Active Directory objects. Now I wonder if Microsoft will incorporate their own graphical interface in the near future. 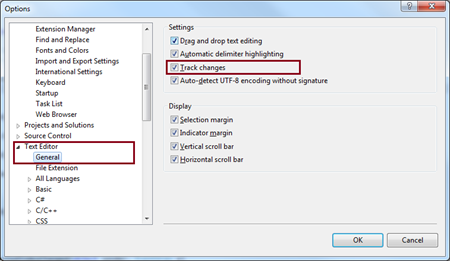 “Track Change” one of the best interesting features in visual studio which indicates the code changes with a color indicator at the beginning of the line. Generally we know about the two color indicator “Green” and “Yellow” which are used indicting the color change till VS 2008 along with those VS 2010 introduced another new color “Orange” which indicates some additional track change for undoing file after save. In this blog post I am going to explain how those color indicator helps developers to track the code changes. Green color indicates the lines which you have edited before your last save. Save again the file and green mark will be disappear. Yellow color indicates the lines which you have edited since the last save of that file. Yellow becomes Green after saving of the file. Once you close the file that indication disappears. 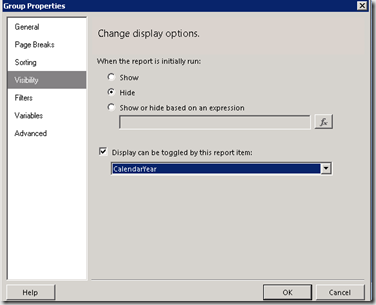 Orange color indication has newly introduced in VS 2010. This color will come when user does an undo after a save operation for that current file. Orange color indicates that current changed line is different from the saved version of the file. 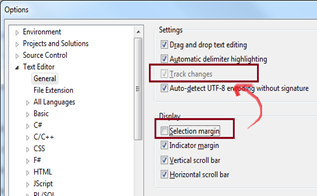 Key Note : While you are using “Track Change” option, you have to select “Selection Margin” display option other wise, “Track Change” Won’t work. 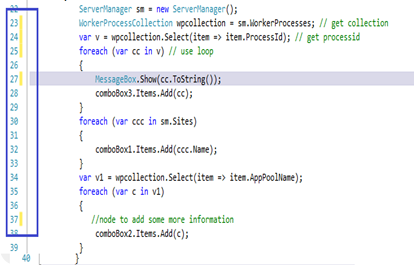 You have opened one code file in visual studio 2010 which having below lines of code. By default there is not color indicator with line number. Now, you have started editing the file Yellow indicator shows , you have made changes on those line. When you are done with your changes, Save the file. Green indicator shows, all of your changes has been saved. Now, you have undoing the files after save, orange indicator saying that, the lines is different than the save version. It means, you have changed something on original file, saved it and again undo it. When you first undoing it, it will be showing as “Yellow”, which means you are editing with this line, but when you have done with all the undoing for that line which is different the saved version colors becomes “Orange”. Which means, it is different than the saved version. To get a clear , just compare the below two image . Yes, all the orange color marked line are similar with default version image. Similarly, This Track changes also works for config files also. Summary : “Track Change” is one very useful features in Visual studio , by which You can see where you have edited / saved on a file for that current VS IDE state . Green color indicates the lines which you have edited before your last save.Yellow color indicates the lines which you have edited since the last save of that file. Orange color indicates that current changed line is different from the saved version of the file.